The term “meditation” can mean different things to different people: One person may get the image of a monk sitting cross-legged silently in a monastery; another may simply consider closing their eyes at their work desk and taking a few deep breaths; while someone else may recall the chess player in the park with attention so focused, nothing could distract her. These examples all reflect meditation in the context of how the term is used in our society today. A quick Google search will connect you with mindfulness meditation, loving kindness meditation, meditation in motion, body scans… and the list goes on. Taking this into consideration, meditation can be thought of as a group of mental and emotional training regimens used to cultivate balance and wellbeing towards a number of ends. At the core, these regimens work by training the participant to become acutely aware of the content (thoughts) of the mind, but as a nonjudgmental observer, thereby not identifying oneself by its content. In other words, the meditator develops the ability to intentionally focus his/her attention, in an impartial manner, on the present moment. Over time, the participant is empowered to better manage life situations and stressors, by controlling the rush of thoughts that can flood the mind and have far-reaching effects. Intellectually, this may be difficult to conceptualize, and this is where formal practice is required for experiential knowledge to be gained and a true understanding of meditation to evolve. Often having religious and spiritual undertones, but with numerous secular and practical traditions as well, meditation is a universal practice engaged in by various cultures and individuals. Participants may be motived to calm the mind, reduce mental stress, improve physical health, take part in cultural or religious ceremonies, improve emotional wellbeing through anger management and fostering compassion, increasing the ability to be more mindful (intentionally present, free of judgment) in their day-to-day activities, or any number of other reasons. As science continues to shed light on ancient practices, we are beginning to better appreciate how the benefits of meditation exert their power. Generally, a person will feel better after a period of meditation; it can be calming and restorative to most. However, there are some very interesting physical effects meditation has on the body, particularly the immune system. This article will explore this connection and how to use meditation to boost immune function. Before exploring the influence meditation has on the immune system, it is important to better appreciate the role of the immune system in our overall health. Generally speaking, the immune system is the defense division of the body, using complex chemical messaging to protect us from potentially harmful foreign invaders, such as infectious agents and environmental/chemical toxins. We often do not think of the immune system when things are going well, but there is constant action below the surface. 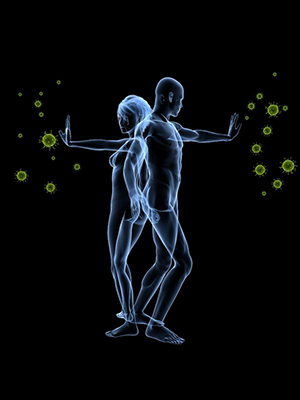 Most people think of the immune system in terms of keeping us free from or working to clear infections. However, a deeper look can provide insight into its role in a number of different disease states. For example, there is the understanding that immune-regulated inflammation can be an underlying cause, or mediating factor, in a number of conditions such as heart disease, cancer, and diabetes. There is also the understanding that immune dysfunction can lead to autoimmune conditions where the body actually attacks itself, such as rheumatoid arthritis, Hashimoto’s thyroiditis, and lupus; or atopic syndromes where the body is hypersensitized to external triggers, such as in asthma, eczema, and allergies. Though much is yet to be learned about the incredibly complex immune system, the field of psycho-neuro-endocrino-immunology (PNEI; the connection between psychological processes, the nervous system, hormonal regulation, and immune function) is helping to elucidate the foundational and interconnected role immune function has within the body. At the centre of the mind-body connection lays this PNEI system. 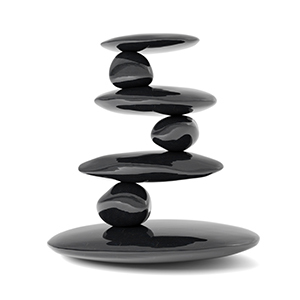 Whether we are looking at how physical activity can influence mood and mental function, or how mindfulness can impact physical health, the PNEI system intricately connects these important regulatory systems of the body and provides a platform for the promotion—or deterioration—of health. There is a webbed connection whereby our thoughts, emotions, and physical health influence our immune function. For example, stress and infections use overlapping pathways to stimulate the brain to produce sickness behaviour (the general signs and symptoms when you have a cold, encouraging rest, recovery, and immune support). This shared pathway lies in the vagus nerve, and can enable stress to sensitize the pathway to cause an exaggerated response to future infections, and vice versa. In other words, if you were to be under chronic stress, your susceptibility to infections would be enhanced. The same is true when looking at how infections can sensitize your body’s reaction to future stressful triggers. With this awareness, it is important to support optimal immune function, while taking into consideration the various factors that influence it as well as that which it exerts an influence on. The action of the immune system is based on an elaborate network of chemical messengers. As illustrated through the PNEI system, our thoughts can influence our immune system and meditation can influence our thoughts. 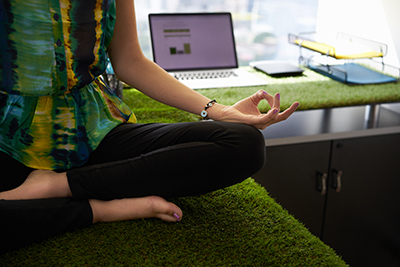 Various studies have looked into the effects of mindfulness-based stress reduction (MBSR) training, which incorporates formal meditation and mindfulness, on immune function. It has been demonstrated that MBSR programs can increase recognition and regulation of stress, reduce proinflammatory gene expression in older adults, enhance the immune system’s response to the influenza vaccine, improve immune chemical messaging in cancer patients, and increase immune cell numbers and activity in HIV patients. A more recent study looked at three groups of women at a six-day retreat. One group did not participate in meditation training (but were merely present at the resort), one group of novices did participate, and a third group contained experienced meditators also taking part in the meditation program. Each group experienced positive changes in gene expression to stress, inflammation, and wound healing. In this situation, it is hard to identify whether the results are due to meditation, or simply a result of being on vacation and physically separated from stressors. However, the group of experienced meditators were found to have positive changes in genes that are involved with viral infections, which may relate to increased antiviral activity. This finding may point to a unique immune-related benefit of regular meditation. Lastly, a large review including a total of 1602 participants validated that mindfulness meditation leads to reductions in proinflammatory processes and increases in immune cell-mediated defenses. However, it did not support findings around positive changes in various other immune cells and inflammatory messengers. This identified the value of further investigation into this facet of the mind-body connection, to better understand its effects and applications. Overall, it appears that meditation has a positive influence on immunity through various mechanisms, including regulating inflammation, boosting immune cell–mediated defenses, and modulating the body’s physiological response to stress (which influences hormone balance and inflammation). Though more research is needed to actually identify how these biological changes translate into disease prevention and management, the current data is encouraging and adds to the existing list of benefits associated with meditation, such as enhanced emotional wellbeing. For someone who has never had exposure to meditation, the thought of it can sometimes feel overwhelming. The reality is that many roads lead to the top of the same mountain, and there are numerous types and forms of meditation to meet the likes and needs of an individual. Based on the existing research, six to eight weekly 1.5‑ to 2.5‑hour MBSR or MBSR-derived sessions brought about positive changes to immune markers; this was also the case for multiday retreats. For those seeking a structured introduction based on practical teachings and applications, the MBSR program has been extensively studied and is run in most major cities. This provides a strong framework to build on, and the weekly group sessions allow for accountability, consistency, and support. For those wanting to simply dip their toe in the water, guided deep-breathing and body-scan meditations can be a starting point. There are a number of these online, as well as apps like Calm and Headspace. If this process resonates, the goal is to build consistency. Try to complete a five-minute practice once a day, then a ten-minute practice, gradually working up to 20–30 minutes in a single sitting. If that kind of time commitment is not realistic or simply does not work for you, just stick with what does. For those with some degree of experience who are seeking a more regimented practice with greater inclusion of philosophy, there are a number of multiday retreats, such as vipassana. There are differences amongst the various programs, but most require participants to be silent during the retreat period, engaging in meditation for the majority of time spent there. Having personally experienced a 10-day vipassana sitting and several shorter sittings, I can attest to the readiness and discipline needed to take part. Though difficult in a number of ways, the ability to garner experiential knowledge and awareness of the role and power of meditation is expedited greatly. This also allows for an easier integration of regular meditation practice into one’s lifestyle and daily routine. As you can see, there are a number of ways that meditation can be incorporated, and there are a number of established and potential health benefits associated with it. 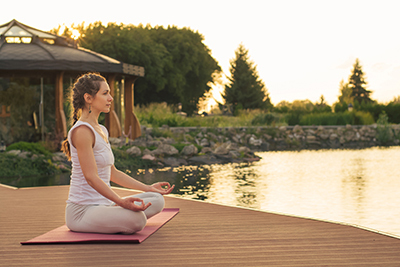 Meditation is a simple, cost-effective, and safe strategy that can be done concurrently with conventional and naturopathic treatments to boost immune function and promote balanced health and wellbeing. Lutz, A., et al. “Attention regulation and monitoring in meditation.” Trends in Cognitive Sciences. Vol. 12, No. 4 (2008): 163–169. Azar, B. “A new take on psychoneuroimmunology: Research pointing to a circuit linking the immune system and brain connects illness, stress, mood and thought in a whole new way.” Monitor on Psychology. Vol. 32, No. 11 (2001): 34. Brown, K.W., R.M. Ryan, and J.D. Creswell. “Mindfulness: Theoretical foundations and evidence for its salutary effects.” Psychological Inquiry. Vol. 18, No. 4 (2007): 211–237. A small randomized controlled trial.” Brain, Behavior, and Immunity. Vol. 26, No. 7 (2012): 1095–1101. Davidson, R.J., et al. “Alterations in brain and immune function produced by mindfulness meditation.” Psychosomatic Medicine. Vol. 65, No. 4 (2003): 564–570. Carlson, L.E., et al. “Mindfulness-based stress reduction in relation to quality of life, mood, symptoms of stress, and immune parameters in breast and prostate cancer outpatients.” Psychosomatic Medicine. Vol. 65, No. 4 (2003): 571–581. Robinson, F.P., H.L. Mathews, and L. Witek-Janusek. “Psycho-endocrine-immune response to mindfulness-based stress reduction in individuals infected with the human immunodeficiency virus: A quasiexperimental study.” Journal of Alternative and Complementary Medicine. Vol. 9, No. 5 (2003): 683–694. Epel, E.S., et al. “Meditation and vacation effects have an impact on disease-associated molecular phenotypes.” Translational Psychiatry. Vol. 6, No. 8 (2016): e880. Black, D.S., and G.M. Slavich. “Mindfulness meditation and the immune system: A systematic review of randomized controlled trials.” Annals of the New York Academy of Sciences. Vol. 1373, No. 1 (2016): 13–24.